The new SHENANDOAH™ STEREO DELUX 200 has been designed as the most full featured professional acoustic amp available—able to reproduce the warm, natural, distinctive tones of acoustic instruments, even at high output levels. 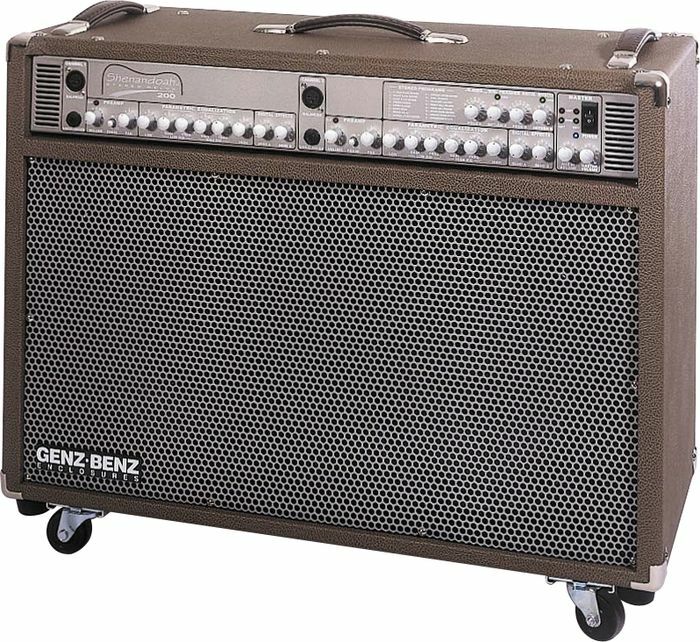 The stereo 200 watt design provides incredible headroom and is capable of continuous high level dynamic output for the club or concert stage. The stereo amp design and "FLEXED" speaker baffle work together to better project the rich, detailed STEREO programs of the two onboard Alesis™ Digital Effects processors. Both DSP's can be assigned to operate on the same or individual channels and can be turned on and off by the footswitch (included).